A few years ago an American study came out showing that sunscreen ingredients may be a contributing factor to the bleaching/killing of our ocean reefs. Dr. Craig A. Downs, Ph.D., executive director of Haereticus Environmental Laboratory, and his team started looking at specific chemicals and discovered that oxybenzone and octinoxate are the main culprits of this damage. The reason they are so widely used in sunscreen is that they absorb harmful UV rays, thus offering sun protection. Onboard Sweet Escape we like to stay protected from the sun, and on a week-long or longer luxury yacht charter vacation, it’s important to take every precaution to ensure a pleasant holiday even after many hours of watersports, swimming, snorkeling, beach excursions and more. For sunblock we are proud to offer Sun Bum Sunscreens. Sun Bum reformulated all of their products to remove Oxybenzon and Octinoxate. If you truly want to reduce the negative impact sunscreen has on reefs and marine life and to protect your skin, invest in good sun-wear and sun accessories. 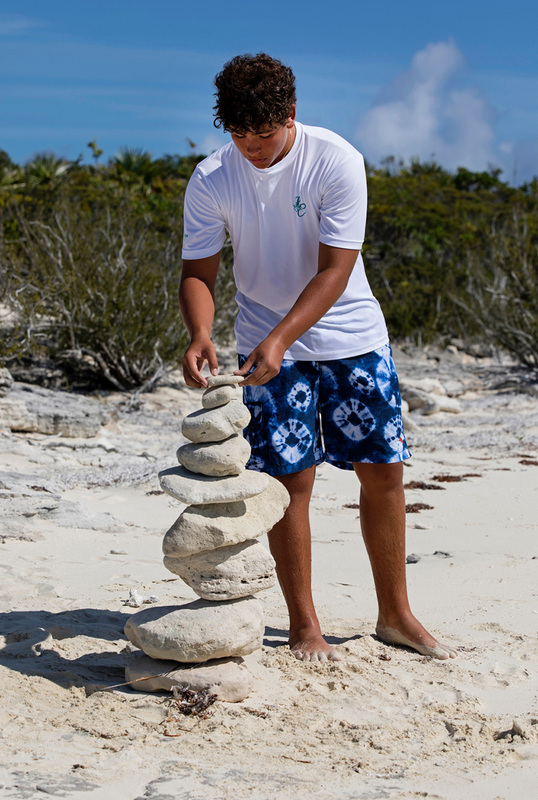 Sun-protective clothing with a UPF rating will prevent the sun’s rays from penetrating the fabric. “So you wear the UPF sun-shirt and then apply sunscreen to your face, neck, the back of your hands, behind your ears. Think of how much less sunscreen you are using,” says Dr. Downs. 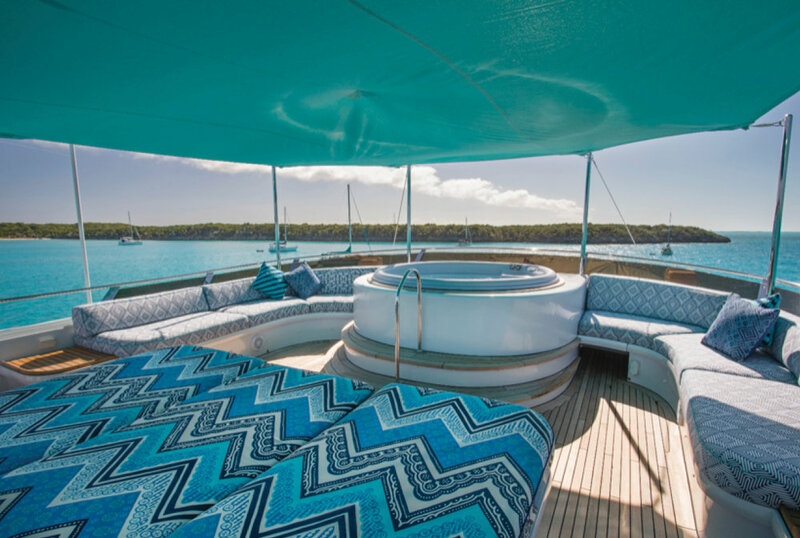 Motoryacht Sweet Escape is equipped with a myriad sun shades on every area, from awnings, to biminis and umbrellas, so guests can enjoy a day outdoors while having plenty of shade. Our shaded spaces are one of the reasons our guests have been so happy onboard. Our huge arrangement of sun and shade options allows guests to responsibly enjoy a holiday in the sun. We have extended the numerous canopy options, added 2 grand parasols by Santa Barbara Designs Umbrella Co. and of course we are happy to provide all the Sun Bum you need! Apply more frequently after swimming, sweating, or toweling. To protect against UVA and UVB rays be sure to us a broad spectrum sunscreen. Reflection off water can increase sun exposure by up to 50%. Keep newborns out of the sun. Sunscreen should only be used on children over the age of 6 months. 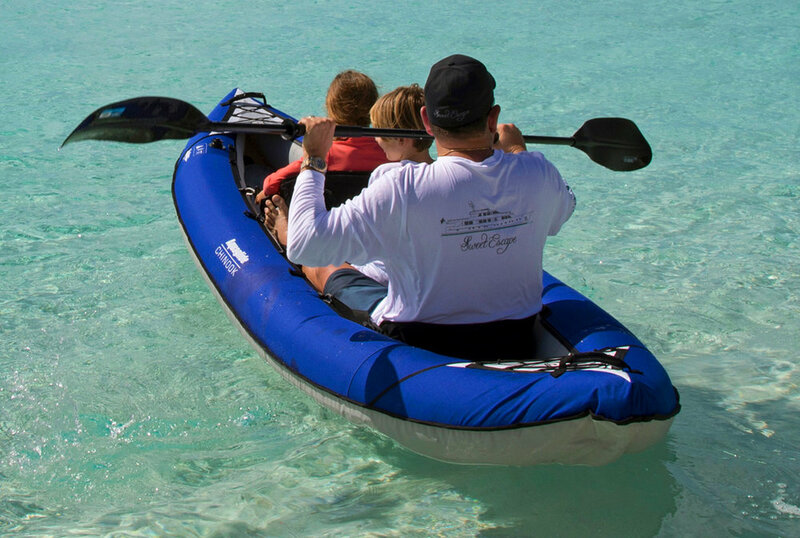 Charter guests are often light packers, so don’t worry if you forget to bring your rash-guard or hat! 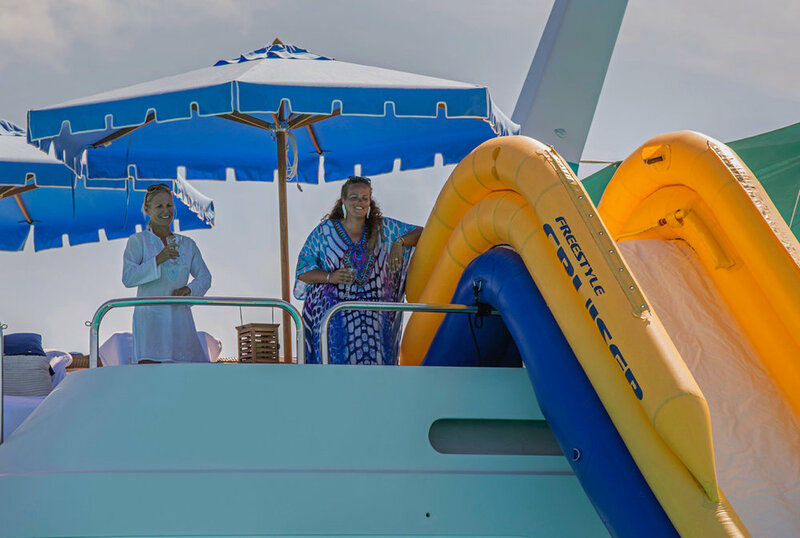 Our lovely Stewardesses will happily provide each guest with all the sun protection necessary to stay safe and happy while onboard Sweet Escape!